Home Musicians Brian Bonsall Spouse, Parents, Net Worth, Where Is He Now? Brian Bonsall is an actor-turned-musician and can rightly be described as a bundle of talents. As a child star, he was on the main cast of the hit 1980s sitcom Family Ties through which he achieved national prominence. He also starred in several movies in the early 1990s including Father Hood and Blank Check. However, Bonsall’s acting career came to an end in 1995 after which he delved into music. Now a singer and guitarist, the multitalented star seems to have equally found his footing in the music world. He is a member of a 4-man Punk band ‘Sunset Silhouette’. He was born Brian Eric Bonsall in Torrance, California in December 1981. His mother and father are Kathleen Larkin and Garth Bonsall respectively. His parents’ marriage ended in a divorce after which his mother remarried. He spent much of his teenage years with his mother and stepfather in Boulder, Colorado. There, he attended Boulder High School and graduated in 2000. Brian Bonsall started as an early bloomer as he marked his acting debut at a very tender age. In 1986, 5-year old Bonsall landed a spot on the main cast of the sitcom Family Ties (1986-89), starring as Andy Keaton. His brilliant performance on the hit show earned him a well-deserved national exposure and also fetched him 3 Young Artist Awards (1988-90). Bonsall also reprised his epic role as Andy Keaton on other television productions including the 1988 TV special Mickey’s 60th Birthday. Following his breakout performance in Family Ties, the talented youngster got featured in several made-for-TV movies including Go Toward the Light (1988), Do You Know the Muffin Man? (1989), Mother Goose Rock ‘n’ Rhyme (1990) and Father and Scout (1994). His performance in Do You Know the Muffin Man? earned him a 4th Young Artist Award nomination. He also had starring roles in films of diverse genres including the horror film Mikey (1992), as well as the comedy films Father Hood (1993) and Blank Check (1994). Bonsall also had a notable recurring role as Alexander Rozhenko on the Sci-Fi series Star Trek: The Next Generation (1992-94). Though his career as an actor was growing in leaps and bounds at the time, Brian Bonsall quit acting in 1995 and opted for a different aspect of showbiz – music. In 1988, he formed a rock band “Late Bloomers” with a couple of his friends. The fate of this group is largely unknown but it appears to have disbanded as Bonsall eventually moved on to other bands. Being a singer and a guitarist, Brian Bonsall played for different bands based in Boulder, Colorado including ‘Thruster’ and ‘The Light on Adam’s Stereo’. However, his music career experienced some major hitches between 2007 and 2010 as he had several run-ins with the law. He was arrested for different offences within that period, ranging from assault to drug use. Thankfully, Brian Bonsall appears to have gotten his acts together in recent times. He has continued playing for different music groups like ‘Lowjob’, ‘Bootjack & Bonz’ and many others. 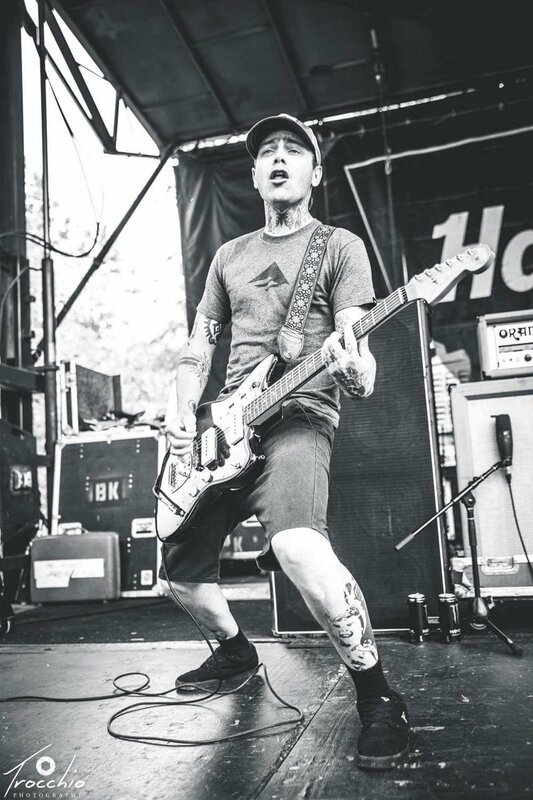 The multitalented star served as a touring guitarist for the popular rock band ‘The Ataris’ in 2016. In March 2018, Bonsall ultimately formed a 4-piece band ‘Sunset Silhouette’ based in Denver, Colorado. The band’s first EP Detour Was released on July 1, 2018. Their second EP Far Beyond Suburbia was released on January 4, 2019. 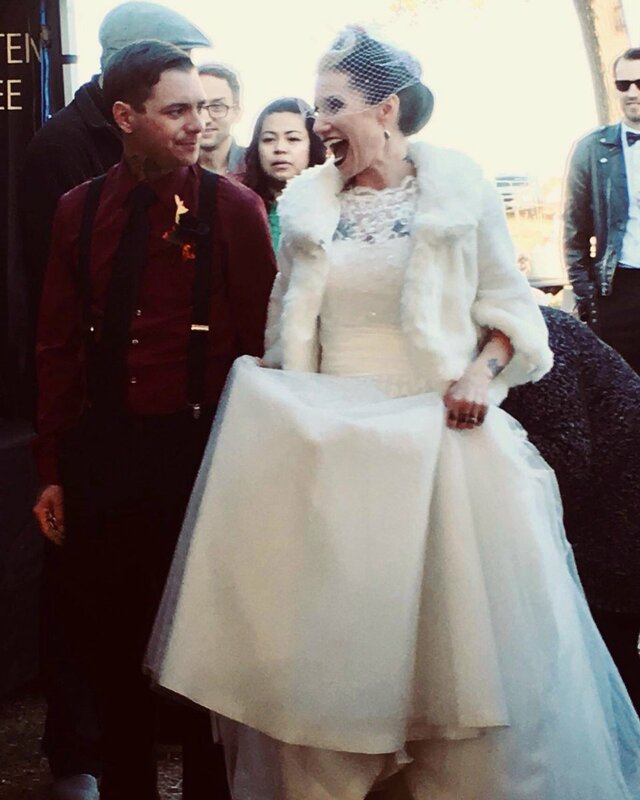 Brian Bonsall’s wife goes by the name Courtney Bonsall (née Tuck). There is very little regarding their relationship in the public domain, however, they are known to have tied the knot on October 21, 2017. Details regarding their wedding ceremony are also quite sketchy, however, the couple is reported to have embarked on their honeymoon in faraway Ireland. Despite his numerous talents, Brian Bonsall’s career as an entertainer has experienced some major challenges over the years. However, the multitalented star now appears to be back on track as he slowly makes his way back to stardom. There are varying reports regarding his net worth at the moment. Some put it as high as a million dollars while others have it pegged at a couple thousand dollars. Despite these discrepancies, it is obvious that this former child actor is out of the woods financially.